Robotics/AI industry goes way back to 1940s and 1950s when Alan Turing imagined a time when humans would be unable to distinguish between machine and human intelligence. In 1950 Alan Turing published a landmark paper in which he speculated about the possibility of creating machines that think; and he later came up with his Turing Test – as a test that would be used to find out whether machine intelligence had caught up with human intelligence. 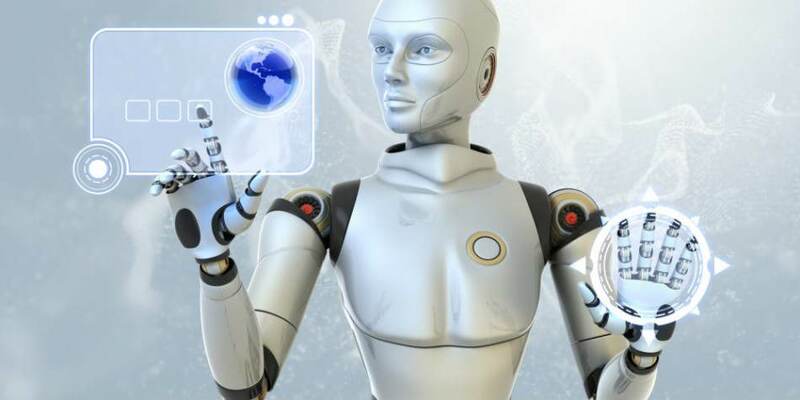 Since the 1950s, Artificial Intelligence has been developing albeit slowly, but in the last decade we have seen remarkable achievements both in the intelligence parts and in the development of truly capable robotic humanoids. In the current world, we have Artificial Intelligent systems that cannot be beaten by humans in some highly complex brain intensive games such as Chess, Jeopardy, and Go. Since then, robotics/AI has gone ahead to acquire the capabilities to talk to humans, drive cars, diagnose diseases, perform surgery, compose music, write movie scripts and novels, edit movies, draw pictures, color black and white pictures, recognize faces in images, operate appliances, provide security, do laundry, clean dishes, and perform numerous other home chores, including taking care of the little ones and old ones alike who constantly require nanny services. One job that a robot can replace right now is the job done by mama nguo or even any other job done by the housemaid. These jobs include doing dishes, laundry, cleaning and organising the house, ironing, cooking, and taking care of the kids. Over the decades, robots have been created to do these jobs but at specialized levels. That is, one robot could cook, another wash dishes, yet another clean the house, and a specialized nanny robot could take care of the kids. Today, there is a robot that can do all these jobs – and she is not very expensive to own. Meet Mahru-Z, a robot with a human like body developed by South Korean scientists back in 2010 that can clean, put clothes in a washing machine and even heat food in a microwave. “The most distinctive strength of Mahru-Z is its visual ability to observe objects, recognise the tasks needed to be completed, and execute them. It recognises people, can turn on microwave ovens, washing machines and toasters, and also pick up sandwiches, cups and whatever else it senses as objects,” You Bum-Jae, head of the cognitive robot centre at the Korea Institute of Science and Technology told the Korea Times at the time of Mahru-Z’s launch. If you can get your hands to a robot like that, then your work would be simple – hire out the robot house to house and charge a premium and a half for its household services. 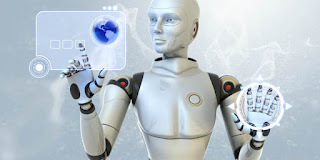 Before every house obtains their own robots, you would have minted your cash from the all purpose robot. By the way, go ahead and Google “All purpose robots” to find out other all purpose robots out there that you can buy right now. “Autonomous delivery robots, once the exclusive purview of 1980s sci-fi movies, are coming to a city near you, with promises of reduced labor costs, increased efficiency and the reduction of cars,” wrote TheGuardian in an article meant to educate the public on how robots will revolutionize delivery services across the globe. I say, you don’t have to wait for someone to bring these robots to your city – you can be that guy how changed how delivery services are done within Nairobi and its environs. The point is that traditional physical offline businesses are fading away – and ecommerce online shopping is taking shape. This might not be true for Kenya as ecommerce platforms like OLX and Jumia are struggling, but the Uchumis, Nakumatts and Tuskys are struggling too. Even if the ecommerce industry is finding it hard to grow right now, the sure truth is that offline businesses belong to the past and whoever invests in ecommerce will carry the day. A key component of ecommerce businesses is an on time reliable house to house delivery services. It is this type of delivery service that makes ecommerce businesses hard to setup and operate, as delivery logistics has remained a nightmare for all ecommerce firms. Firms like Jumia and Pigiame have partnered with delivery firms such as G4S to solve the delivery question, but their approach has worked only to make the ecommerce services more expensive. That’s why ecommerce firms elsewhere like Amazon are banking on robotics to help lower their service costs. As an entrepreneur interested in the future of commerce, you need to play a close attention to the developments and proliferation of robotics/AI and how they are already helping to ease the delivery bottleneck. If you have the prerequisite capital, you could go ahead and setup your first robotic delivery services in Kenya that takes advantage of drones alongside the traditional robots. One thing is true, very few can become robotics/AI experts. This is because by nature the robotics/AI fields is rather complex. But for those who don’t struggle with physics, mathematics, and computational algorithms, this field may be where they may get their piece of cake. You too, if you are not scared of the physics and the math and the algorithms, can become a robotics/AI expert and stand a chance to reap the billions before the robots and AI machines take over the ownership of earth’s resources. A practical way of becoming a robotics/AI expert was offered by Shams ur Rahman, an Artificial Intelligence Researcher and Corey Reaux-Savonte who has been working on developing Conscious Machines since 2013.